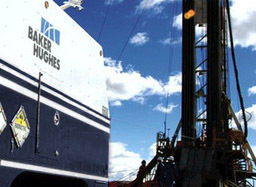 GE and Baker Hughes have announced that the companies have entered into an agreement to combine GE’s oil and gas business (GE Oil & Gas) and Baker Hughes to create a world-leading oilfield technology provider with a unique mix of service and equipment capabilities. The “New” Baker Hughes will be an equipment, technology and services provider in the oil and gas industry with USD 32 billion of combined revenue and operations in more than 120 countries. By drawing from GE technology expertise and Baker Hughes capabilities in oilfield services, the new company will provide best-in-class physical and digital technology solutions for customer productivity. Under the terms of the agreement, which has been unanimously approved by the boards of directors of both companies, at the closing of the transaction Baker Hughes shareholders will receive a special one-time cash dividend of USD 17.50 per share and 37.5% of the new company. GE will own 62.5% of the company. The transaction is expected to close in mid 2017.